Blizzard has announced that it’s cutting the price of World of Warcraft expansions in Europe at both retail and through the Blizzard Store. 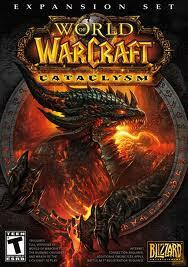 You can now pick up Wrath of the Lich King for €19.99 and Cataclysm for €29.99. Currently, there hasn’t been a price cut announcement for the US, as both expansions are listed on the store for $39.99; however, some retailers sell it for less than the suggested retail price, so it might be in your best interest to shop around.